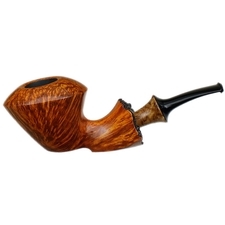 Ulf Noltensmeier of S. Bang has quite a deft skill when it comes to the seemingly mystical combination of overt boldness and practically seamless elegance that seems to characterize much of the duo's work. 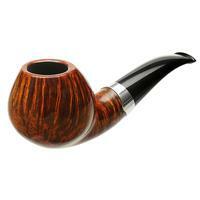 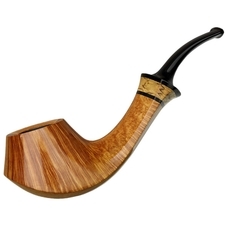 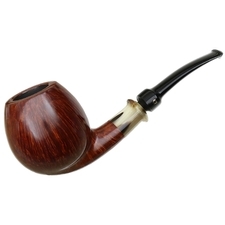 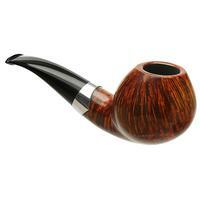 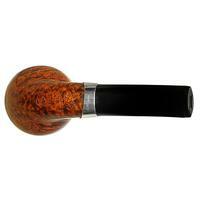 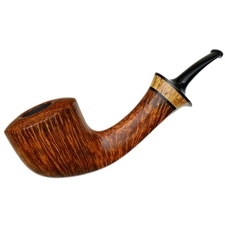 It boasts an active, forward sense of gesture, with its rounded bowl seeming to beckon the smoker, and the plumpness in hand offering a satisfying substance. 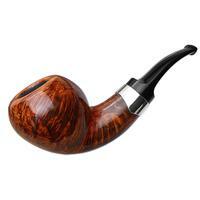 Said substance is carried through, appropriately, into the shank and stem, guiding the eye to a neat, ornate accent band of sterling silver, and likewise to the gently tapering jet-black stem. 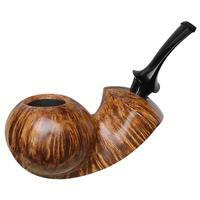 A stunning piece from the venerable duo, indeed. 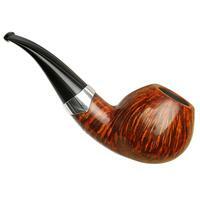 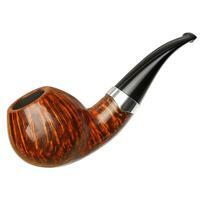 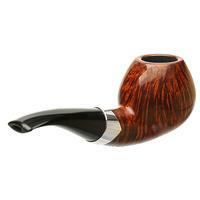 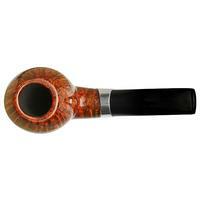 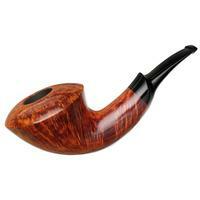 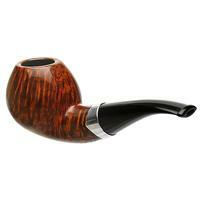 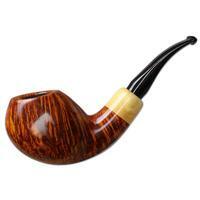 Bowl Height: 1.79 in./45.47 mm.